It has been a warm rainy December. The two flowering species below provided high contrast along a road right-of-way, surrounded by browning fall relics. What looks like Southern Beeblossom, Oenothera simulans – blooming in December!! This is an extreme close-up. 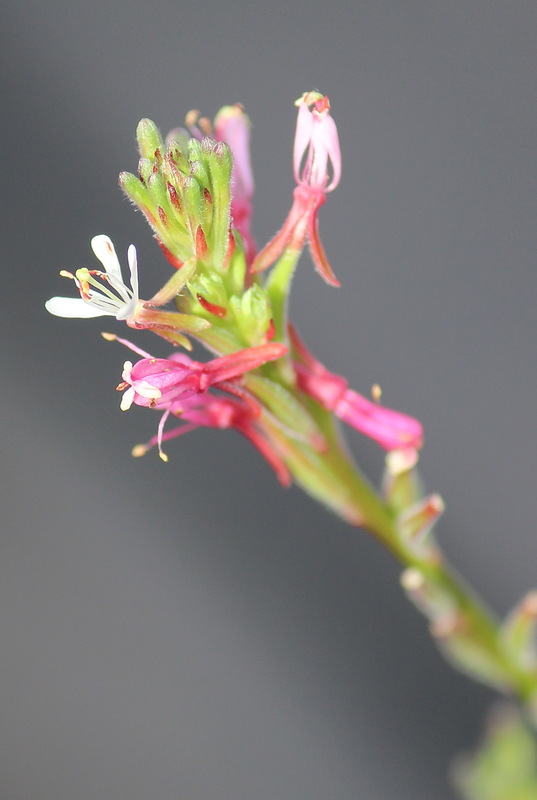 Flowers are about 10 mm…delicate. This may be Oenothera simulans (Gaura angustifolia), Southern Beeblossom, a native relative of the popular garden plant, Gaura lindheimeri ‘Whirling Butterflies’ (a native of Louisiana and Texas.) North Carolina is the northern edge of Southern Beeblossom’s range, and we haven’t seen it that often around here, although apparently it is not rare. This plant is a member of the primrose family, Onagraceae. Bitter Sneezeweed, Helenium amarum. 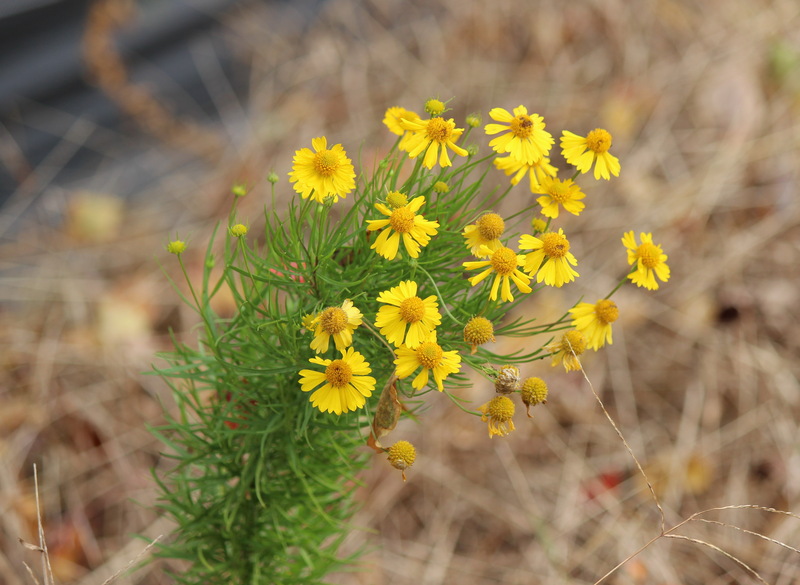 Weakley’s Flora v. 2015 indicates that this plant is actually an introduction from points west. Bitter Sneezeweed, Helenium amarum, is usually blooming around here over the summer and early fall. ‘Bitter’ refers to the taste, imparted to the milk of cows that have consumed this plant. Some sources (1, 2) note that the dried flowers and leaves of some plants in the genus Helenium were historically used as snuff, to induce sneezing and relieve cold symptoms. Don’t try this at home!